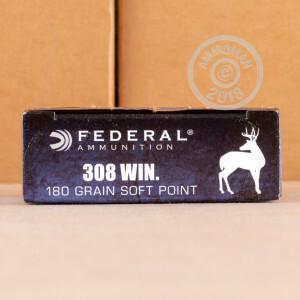 This reliable, cost-effective deer load from Federal's Power-Shok series has been helping hunters succeed for decades. 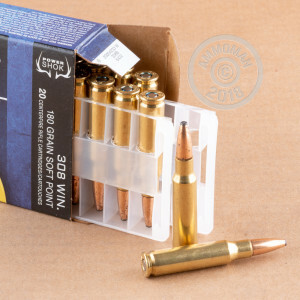 Each .308 Winchester cartridge in this box of 20 fires a 180 grain soft point bullet at a muzzle velocity of 2,570 feet per second. The high velocity of this ammunition produces strong penetration and wide mushrooming for maximum effect. 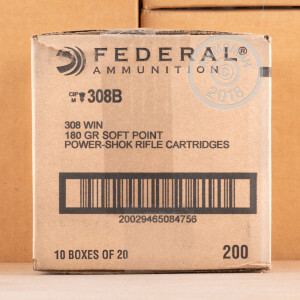 Federal Power-Shok ammunition is loaded in Anoka-Minnesota using non-corrosive Boxer primers and brass cases. Send AmmoMan.com an order for $99 or more and we'll provide free shipping from our warehouse to your doorstep!